« Springsteen Announces Dates for First Leg of US Tour. European Dates as Well. 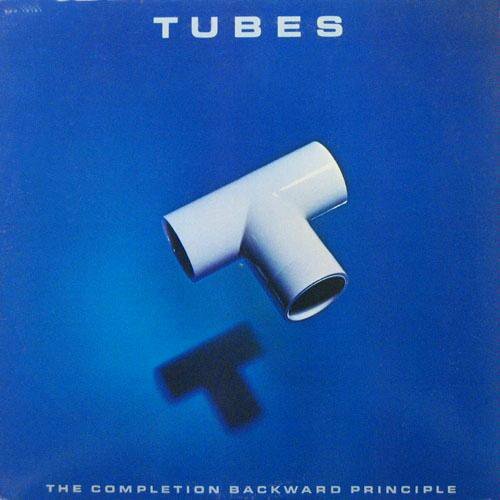 Today’s Cool Album of the Day (#611 in the Series) is The Tubes, The Completion Backward Principle. When you plopped this on your turntable in the early 80s those lines were the first sounds you heard, and I can tell you that in most cases,yes, I did manage the time to play both sides because it was just too darn hard to stop listening. The Completion Backwards Principle is one of The Tubes most popular albums. No, it wasn’t as crazy nor raw like some of the also great early stuff. But it fit quite well as a follow-up to the Todd Rundgren produced Remote Control that preceded it. It did have a somewhat slick feel to it similar to Remote Control, but it never came across as too polished for its own good. Yes, it did have a little bit of that LA studio musicians sound to it even though this was a band album and not one of those projects where they bring in heavy hitter after heavy hitter to fill out the sound. Well, except for the great Steve Lukather of Toto who laid down his scorching solo at the end of what would be one of the band’s biggest hits “Talk To Ya Later.” Where did much of that sound come from? Why that would be from producer extraordinaire David Foster in what would be one of his better rock productions. The packaging of this album, including that opening line that we referred to earlier and a good amount of an accompanying tour were based around the premise of the band’s members being corporate ad execs. Complete with suitcases, sharp business suits and all. You can hear the full album below in the video playlist in its full studio form. I’ve also included some cool live videos from that tour and others as well. Besides the great songwriting on this album, what truly makes it fantastic is the great musicians so I’d be remiss if we didn’t take a look at them. Fee Waybill has always been one of the best front men in rock ‘n roll. He combines a killer voice with spectacular showmanship. Bill Spooner and Richard Steen handle the guitars, Michael Cotton was on keyboards along with the late Vince Welnick. Rick Anderson was on bass, and of course Prairie Prince was on drums. 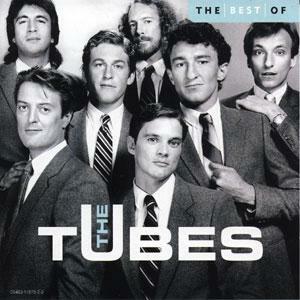 This was 1981 but The Tubes continue their rock ‘n roll odyssey to this day. 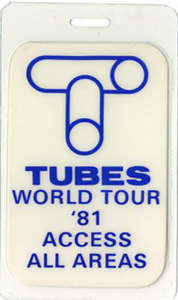 They are constantly touring and for a band that’s been around for such a long time many of the original members remain. If they’re in your area I wouldn’t miss them.